It’s even been called the non-surgical facelift. Genius uses high-intensity, focused RF (radio frequency) through gold-plated microneedles to stimulate collagen. These 49 needles are the sharpest, thinnest and highest quality needles available. They’re also smart. The needles “talk” to each other during your treatment to ensure the correct amount of energy is delivered under your epidermis to increase your body’s collagen and elastin production. The “injury” causes the skin to heal itself from the inside out. And of course, a new, sterile needle package is used for each patient. The needle “head” is discarded after a single use. Genius can safely be used on any skin type and you can have treatments at any time of year. It can also be used on any skin on the body. If you’ve had an INFINI treatment, you’ll love Genius. Genius is the next generation device to follow INFINI. The difference patients will notice most is that Genius is a much more comfortable treatment, now with no downtime. The Genius procedure provides maximum results with minimal discomfort. You will still receive numbing cream prior to your procedure. 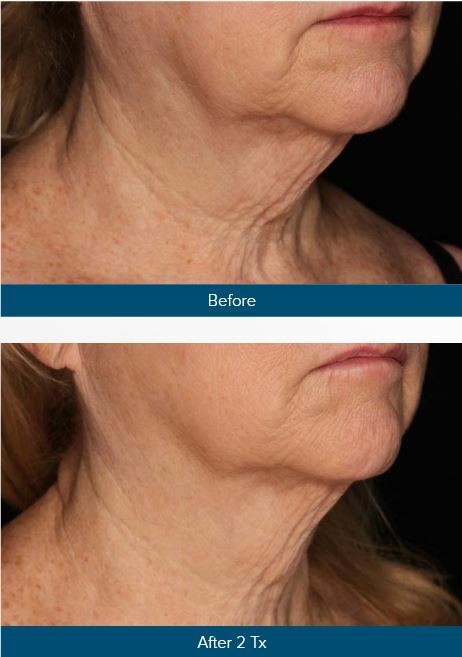 Find out what this innovative combination of radio frequency and microneedling can do for you to stimulate the natural regrowth of collagen and elastin. One week before your appointment avoid alcohol, aspirin, ibuprofen, vitamin E or fish oil (any omega-3). These blood thinners can cause bruising and bleeding. Wear a wide-brimmed hat to the office. You’ll need it before and after your treatment. Do not apply any make-up, lotions or even sunscreen prior to your treatment. Arrive with a thoroughly washed face and neck. Before your treatment, we will apply a numbing cream and after removing it, we will sanitize your skin. You may opt for PRP immediately after your treatment. This is an add-on, at additional cost. The PRP calms your skin and reduces redness. Avoid sun exposure for 24 hours after your Genius treatment. Wear a wide-brimmed hat or use an umbrella to protect yourself from the sun. Do not apply any creams or sunscreens for 24 hours. Do not wash your face for 24 hours. You can resume your normal skin-care regimen after 24 hours EXCEPT for harsh topical products (like retinoids) and alcohol-based toners. You may begin using those after 2 weeks. You may begin to use sunscreen on the second day – a UVA/UVB sunblock with at least 30 SPF is recommended. Also avoid vigorous activity, exercise, excessive heat and sun exposure for at least one week. You’ll need to wait 4 to 6 weeks before your next treatment. Most patients achieve the best results with 2 to 4 treatments. © 2019 Dermatology Boutique - All Rights Reserved.